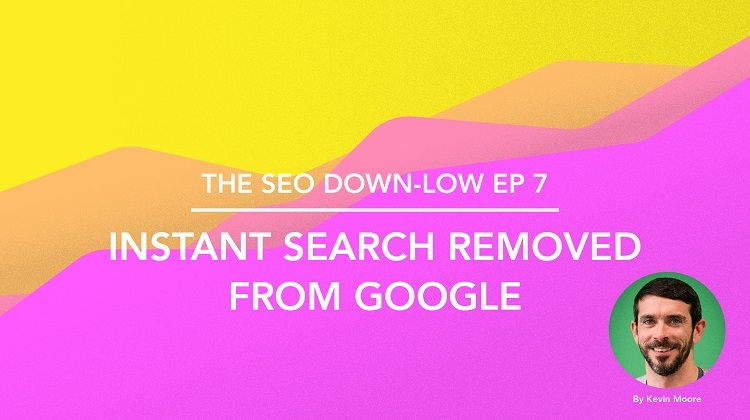 Welcome back to the Wolfgang Blog for the July edition of the SEO Down-Low, compiled by the SEO team at Wolfgang Digital. As always there is never a dull moment in SEO and the Wild West, which is the Search Engine Result Pages (SERPs). So let’s dive in and take a peek at the selection of SEO treats we have in store for you this month. 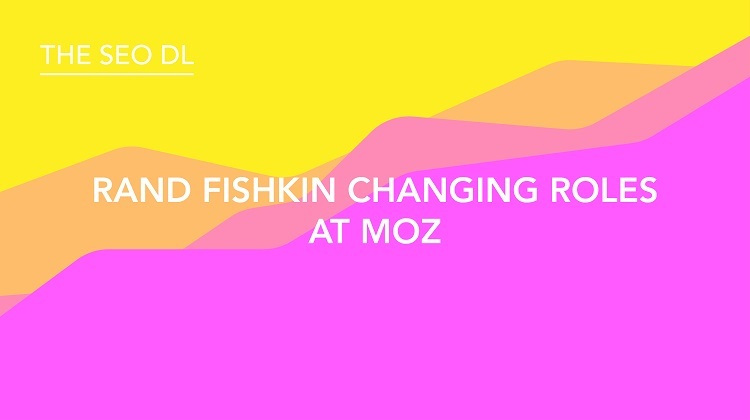 Anyone involved in the Search Engine Optimisation (SEO) industry knows Moz and if you know Moz, you'll know one of the founders Rand Fishkin. Moz began its life as SEOmoz back in 2004, an SEO consulting agency. 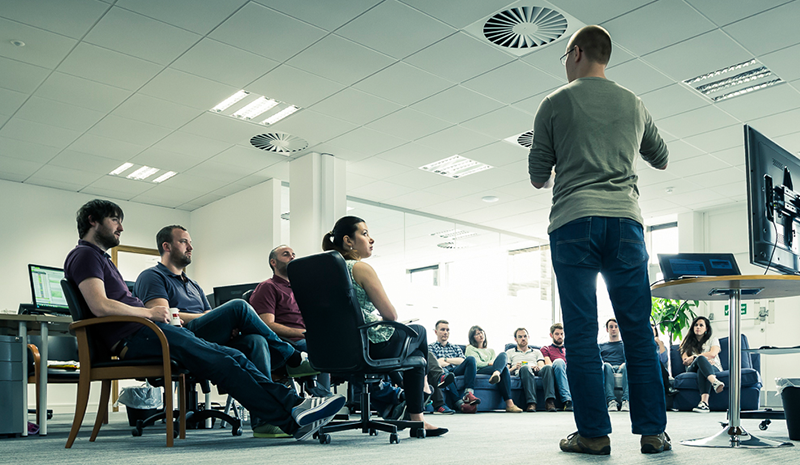 By 2008 (When Alan Coleman founded Wolfgang Digital) they transitioned into an SEO software service. Some of the core features of the Moz SEO tool include ‘Open Site Explorer’ a handy free tool for identifying the Domain Authority (DA) of a website, along with the Spam Score. If you want to get visibility on more than 10 backlinks to your site you have to set up an account with Moz, well worth it for anyone taking SEO seriously. Well anyway, the ‘Wizard of Moz’ that is Rand Fishkin, who hosts some of the most informative SEO nuggets of info every Friday, with his now legendary ‘White Board Friday’ and a regular attendee beaming into one of the Wolfgang Digital client events ‘Pizza & Prosecco’, has made his final move away from CEO of Moz to become a Moz Associate. He will also remain as the Chairman of the Board. So, we would like to take a minute and send our good wishes to Rand as he ventures along a new path into the future, a good friend of the Wolf-gang. Rand is also in the process of writing a book about his 16 years in SEO, and recently starred in ‘SEO – The Movie’, which you can watch free online. As part of the ever growing local search services from Google. 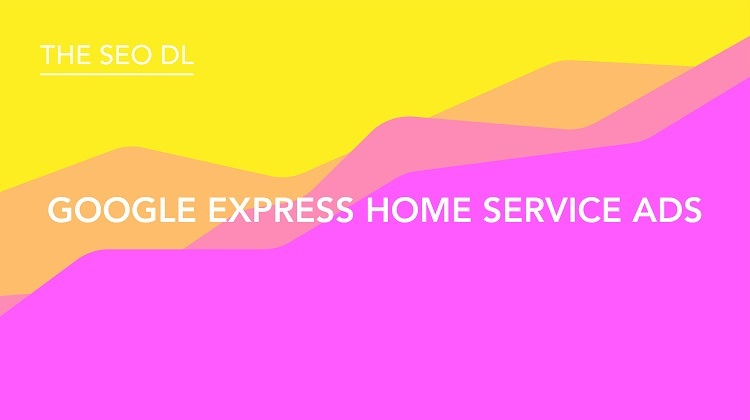 They have begun rolling out a new feature called ‘Google Express Home Service Ads’. These are specifically targeted towards local services such as plumbers, electricians, home cleaning services etc. Understanding the demand for such services, along with the competition locally, Google has crafted a special format, different to the standard AdWords format. 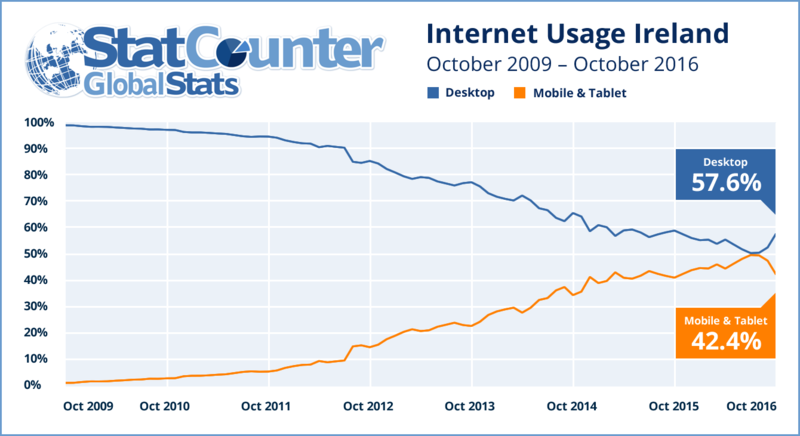 These ads are designed and built for mobile searches due to the increased trend of web surfers using mobile devices to search for local services near them. Are you ready for it? This is a sector that offers big market potential for Google. Home services are predicted to be a $435 billion market globally by 2021. We discussed the importance of optimising your local service website for ‘Near Me’ searches back in February 2017. What makes these ads really stand out is the visual opportunities to include reviews, ratings, a Google guarantee authorisation (carrying out background checks using a third party) and a map with your location. These are all really strong authority signals for driving relevant clicks. Users can then contact the business directly or request follow-ups from up to three providers. 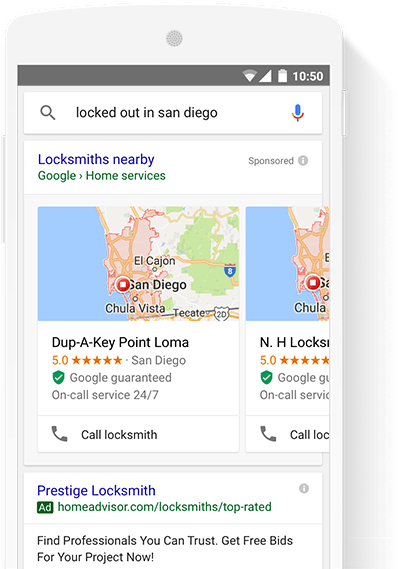 Google has rolled this feature out in Los Angeles, San Diego, Sacramento, Stockton, and the San Francisco Bay area. We are confident that this is going to be arriving on the emerald shores in the not so distant future. Keep your eye on this Google registration page where you can register your interest and become a Beta partner (not available in Ireland yet, but when it comes you want to have the first mover advantage). Pro-tip: Check out Visual Ping, a great tool which can keep an eye on this page for you automatically. In a bold move by Google, they have removed a feature that we have all grown accustomed to over the years when conducting searches on our desktops and laptops. Instant Search has been around for more than seven years. 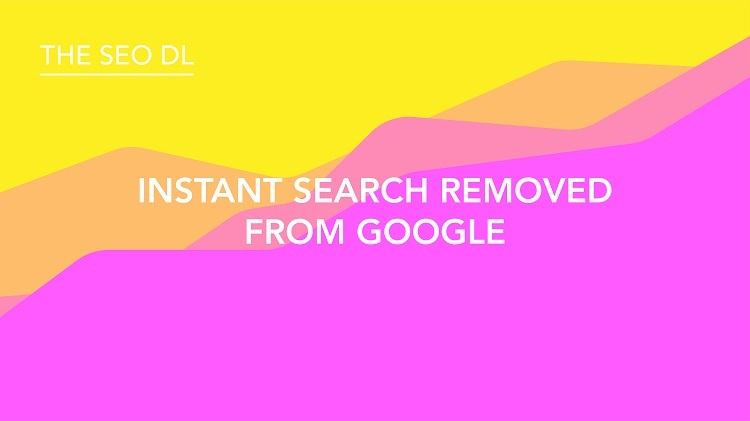 Launched back in 2010, this innovation changed our search behaviour when launched by the then CEO of Google, Marissa Mayer, stating it was a “fundamental shift in search”. However, with the persistent rise of mobile search (over 50% of all searches in 2017), Google have slammed on the brakes and ‘chucked a you-ee (u-turn) and removed this feature in July 2017. The ever changing behaviour of us, the users, our choice of devices and how search results appear is how Google remains a giant in the industry. They know when to drop an idea, even if it did save hours of time when users searched on desktop back in the day. This is another move by Google that reinforces the importance of optimising your website for mobile visitors. Wolfgangers love Structured Data and Featured Snippets. 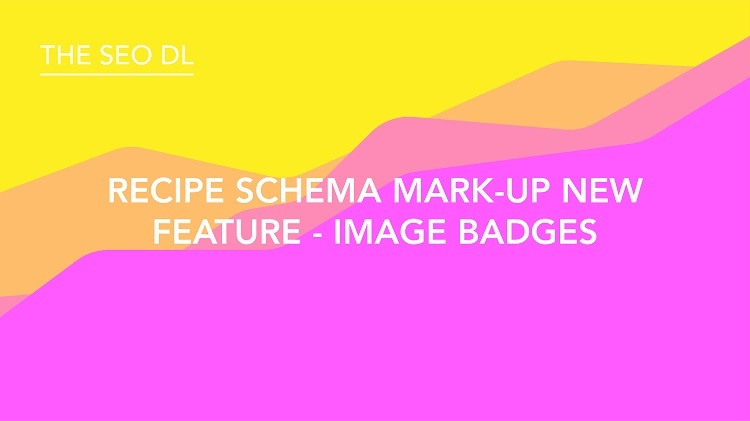 We are always on the lookout for the latest Schema innovations to implement when suitable on our clients' sites. Well, Google have just announced that they have added a new feature, specific for Mobile Image Searches. Make searching easier for users. In an ever evolving search environment, paying attention to your images when uploading them is even more important in 2017 than ever before. If you are interested in getting our Structured Data specialists to mark-up your e-Commerce or recipe site contact Wolfgang Digital today. 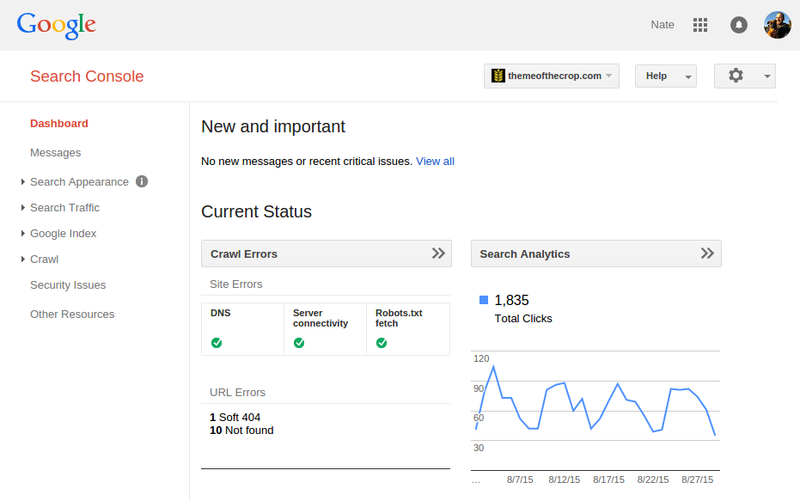 At Wolfgang Digital, one of the first tools we recommend when onboarding SEO clients is Google Search Console, formerly Google Webmaster Tools. The reason, is that it is the primary tool for webmasters and SEO’s to communicate with Google about a variety of technical elements of a website that we aren’t going to bamboozle you with today. But if you haven’t submitted your site to Google Search Console by now, go on away and do it - I'll wait for you to come back. Just like the internet, it has evolved a lot since the early days. 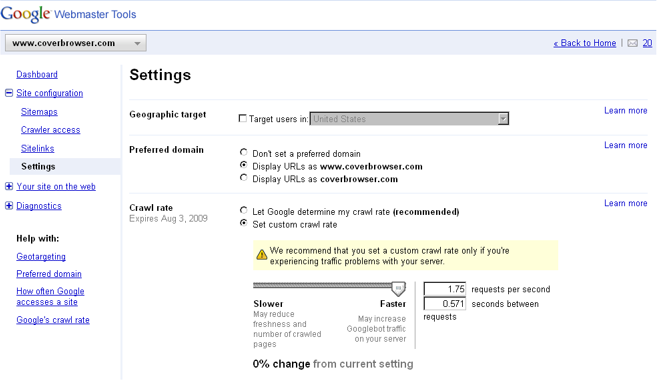 The above shot is from way back, almost a decade ago, providing minimal reports or supports for SEOs back then. 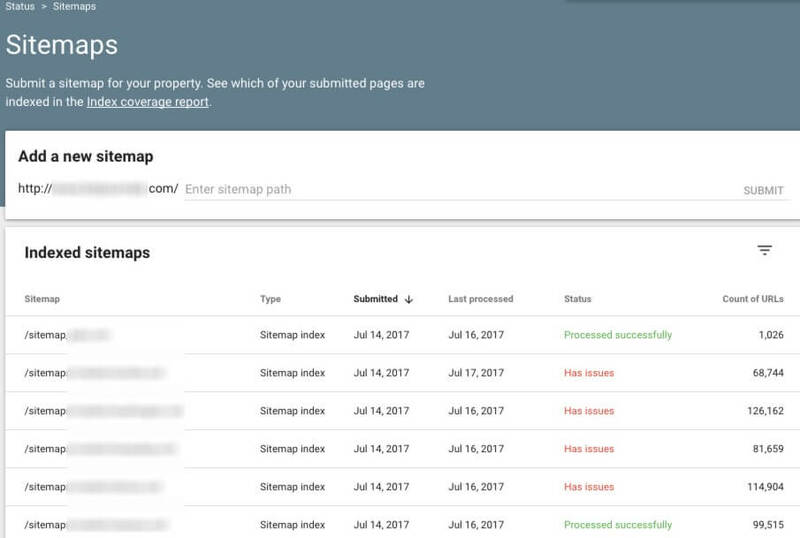 Flash forward and there are almost two dozen reports and elements that help SEOs identify and fix areas of websites, that could easily go unnoticed without access to GSC. Google have taken on the same design style as their recently revamped Mobile Friendly Tester, a tool that we love at Wolfgang. They have gone on to reveal that the first two reports to make the shift are their AMP fixing flow. Google are really investing heavily in Accelerated Mobile Pages and will not stop until the whole internet is AMP. 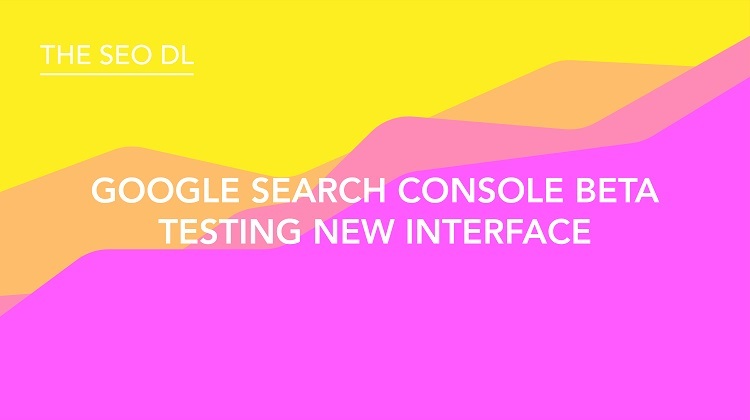 Google have also released information on their webmaster blog stating that they are pushing hard to make Google Search Console a speedier and more efficient tool for webmasters and SEOs alike. Mobile Speed Tester is another great testing tool for testing the speed of your site on mobile devices. So, that’s a wrap until next month. We hope you enjoyed the July Down-Low, and if there are any specific areas of SEO you would like us to explore in future posts, feel free to leave a comment and we will do our best to address it. Until next month, have a good one!